While you’re younger, you will have the impression that a tractor is an incredibly fun ride, but this huge machine can also be incredibly dangerous. There are more than a few incidents involving tractors which left people with injuries and even killed them. Because of that, if you’re working on a farm, you should be aware of the safety measures you can take to make sure your safety is not endangered. 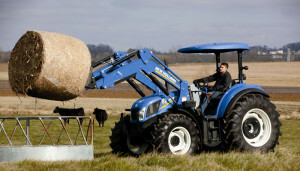 Whenever you’re planning to use a tractor, you should make sure you follow the safety regulations. Below are some of the rules you should be respecting whenever you’re using a tractor. First of all, consider yourself and your clothing before you get started. Is the clothing you’re wearing appropriate for work on a tractor? You might believe that it doesn’t matter, but clothes can get caught in parts that are moving, so make sure that can’t happen. The footwear you choose should be easy to wear and durable, giving you comfort and support in all kinds of conditions. Ideally, you should be wearing safety boots which also give you a decent grip, since the surface of a tractor can get slippery sometimes, especially during the tough weather conditions. Avoid keeping the hair long, wearing clothes that flow or jewelry, basically anything that might get caught in a machine. Whenever you take a new machine out, you should look a bit at the manual of the machine. Learning how to use it by experimenting is not the best idea, not when you have a large machine like this. Get familiar with the machine and what it can do before you take it out. 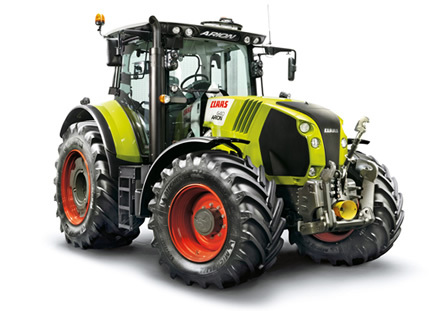 Check it for any potential problems as well, especially if it’s a tractor you’ve never driven before. Getting in the tractor or getting out of it is also something that you should learn how to do properly. The tractor has certain steps to step on and places you should be grasping, things that were designed to be used that way. One thing to keep in mind is to only get on a tractor or off it while it’s standing still, not while it’s moving. Quite a few people got injured because they didn’t follow this simple rule. 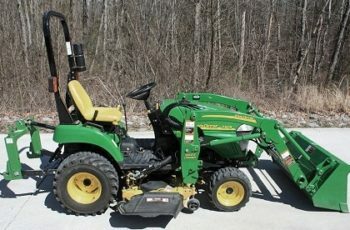 Using the seat belt of the tractor is another simple rule that should be followed. It’s there for a reason and it might just save your life someday.